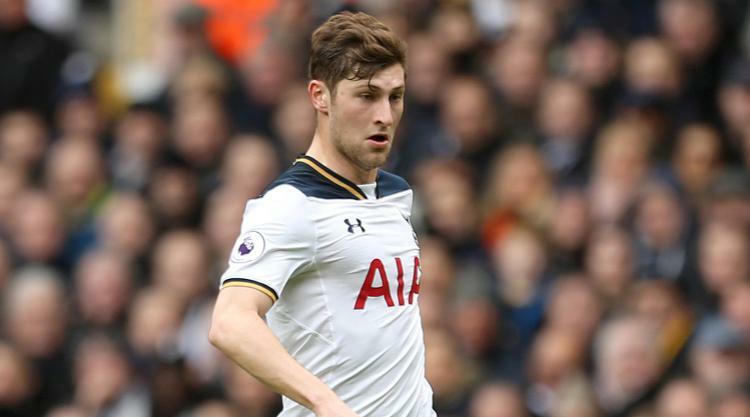 Ben Davies hailed Tottenham's squad strength in coping with a "strange Christmas" to stay in the hunt for a top-four Premier League spot. Spurs returned to action after a seven-day break to win 2-0 at bottom club Swansea on Tuesday night. After thumping Southampton in the early Boxing Day kick-off, Mauricio Pochettino's side had to sit back and watch their rivals take centre stage. Liverpool and Manchester United had played three times since Tottenham's last game, while Arsenal and Chelsea had been in action twice. "The pressure was on us," Davies admitted after Spurs had hurdled Arsenal into fifth and moved within four points of fourth-placed Liverpool with a game in hand. "It was a strange Christmas period for us. We had a game on Boxing Day and then nothing until Swansea. "This was the first of three games in six days, so it's a bit hectic. "We just have to deal with it and now we've got another tough game against West Ham on Thursday." Spurs boss Pochettino is expected to rotate against the Hammers, with it coming only 48 hours after the win at Swansea was ground out in heavy conditions. Danny Rose is set to miss out again with a knee injury sustained on Boxing Day, but Harry Kane should return after starting on the bench at Swansea following a heavy cold. Victor Wanyama is also fit again after a long-term knee problem while Moussa Sissoko, Harry Winks and Serge Aurier will be involved against either West Ham or in Sunday's FA Cup tie with AFC Wimbledon. "This period shows the strength of our squad," Davies said. "The amount of games we have in a season you must have that rotation. "You can do that with the availability of players we have, but it will be a test in the next couple of days. "The Liberty pitch was heavy and I'm sure it will have a bit of an effect. "It does tire you out but we'll be ready and rested for the next game." Swansea remain bottom and four points from safety after losing new manager Carlos Carvalhal's first home game in charge. But there were some encouraging signs from their second-half performance as Hugo Lloris was worked in the Spurs goal and Mike van der Hoorn's deflected header struck the woodwork. "The gaffer has given us a boost and everybody wants to show him what they are capable of," said Dutch winger Luciano Narsingh, who scored the Swansea winner in Carvalhal's weekend bow at Watford. "We're getting more players in the penalty area and also getting more chances from corners. "We have to keep the confidence and if we continue to play like this the points will come. "We're still close to each other (at the bottom). If we win two games we are up with those teams, so we have to believe we can take the points in the next games."